Baltimore City officials will be restarting their failed speed and red light camera programs and have selected some of the same companies who previously calibrated and run cameras which had issued thousands of erroneous tickets to innocent motorists. Baltimore City will be hiring three companies to run the new program: American Traffic Solutions will run the speed camera program, Conduent will run the red light camera program, and MRA Digital will be hired to calibrate the speed cameras. Baltimore City had shut down their speed camera program in 2013 after it was proven that cameras run under contract with their speed camera vendor Xerox State and Local Solutions were systematically producing faulty speed readings. Among the cases of errors identified were large trucks cited for traveling at twice their actual speed and stationary vehicles cited for speeding. Documents obtained by the Maryland Drivers Alliance proved that the city was aware of faulty speed readings for months before it became public knowledge, but had continued issuing tickets from those same cameras. After an in depth investigation by the Baltimore Sun, the city and their vendor were forced to admit to the errors, claiming they were caused by what the company called "radar effects". An internal city audit found that some speed cameras had error rates as high as ten percent, meaning that many thousands of erroneous tickets had been issued. This was but one of many problems plaguing the city's old photo enforcement program. In one instance, Baltimore Red Light Camera program was found to have issued 2000 citations "signed" by a deceased police officer. Despite having been "approved" by someone who was not even alive at the time, documents obtained by the Maryland Drivers Alliance showed that Baltimore City never refunded those red light camera tickets and the city and their vendor kept the revenue. After the disaster with the old Baltimore City program, Xerox recently spun off their camera division into a new company called "Conduent" in order to shed the stigma which the Xerox name had earned within the speed camera industry. Conduent has now been selected to run the new red light camera program in Baltimore City. In addition, Baltimore City will be bringing back the same company which calibrated the cameras which systematically produced erroneous speed readings: MRA Digital. MRA Digital was awarded the "sole source" contract because it was stated that they were the only company in Maryland capable of calibrating the speed cameras as required. MRA Digital was the same company which signed the speed camera calibration records for the devices which issued erroneous . 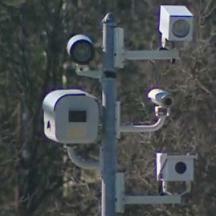 The Maryland Drivers Alliance requested speed camera calibration records for some cameras which had been proven to produce errors. 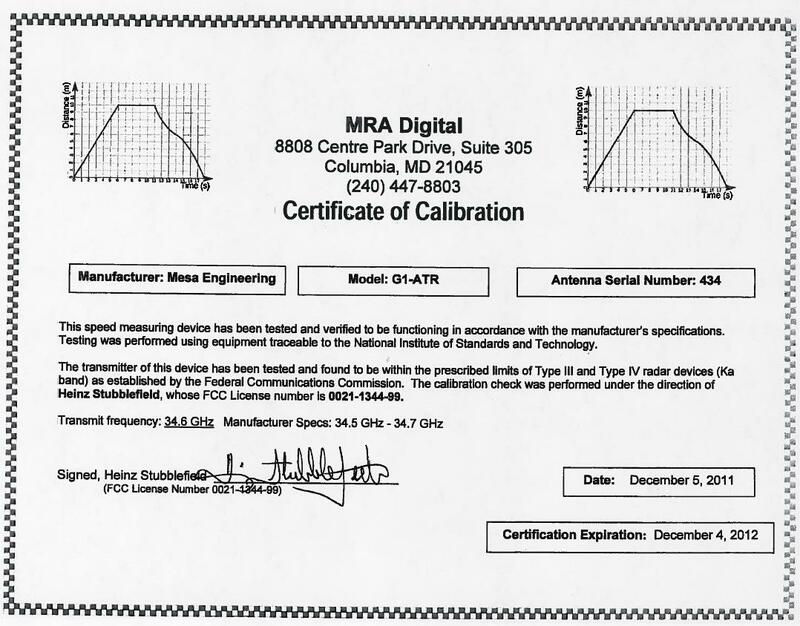 The calibration certificates signed by MRA digital president Heinz StubbleField for the very same camera which ticketed a stationary vehicle showed that the camera had "passed" all of MRA digital's tests. Such calibration certificates are taken as absolute proof of the accuracy of equipment by District Court judges who hear speed camera cases, and motorists are generally not even permitted to use the same images used to incriminate them to dispute the recorded speeds if they do not support the speed reading. Companies bidding for the contracts hired lobbyists to pressure City Hall and the DOT to restart the program. For example ATS paid $20,000 to lobby city officials between February 22, 2016 to December 31, 2016 to help win their portion of the deal. Another company, Hillman Communications, will be paid a $625,000 slice of the red light camera program to establish a "public information and outreach campaign" in order to help snow the people of Baltimore and Maryland into forgetting Conduent's part in the last failed program. Speed camera programs have often times built massive PR and media campaigns to quell opposition to their programs, for example ACS (which eventually became part of Xerox/Conduent) promised to help plant favorable news stories in local media outlets for Montgomery County's speed camera program when they bid for that contract. The city claims that this time the program will be run differently, and no doubt Conduent and MRA digital would claim they have resolved whatever problems they might have had. The Maryland Drivers Alliance is of the opinion that motorists have no reason to believe this is true. In fact, cameras operated by Xerox and calibrated by MRA digital continued to produce erroneous speed readings in other jurisdictions well after Baltimore City's speed camera program was Shut down. In 2016, we reported that the City of Rockville, which used Xerox now Conduent as their vendor and used MRA digital to calibrate equipment, issued a speed camera ticket to a non-speeding school bus. Records obtained from the city showed that they vendor had also voided several other tickets due to citation images showing "no progression" (ie no movement). Baltimore County also used Xerox (now Conduent) and MRA digital, and in January of this year we reported that Baltimore County also had ticketed a stopped vehicle for speeding. The Local Designee for Baltimore County's program admitted to us that their vendor had dismissed dozens of citations showing "no progression" (ie no movement) in the speed camera images. If equipment calibrated by MRA digital can STILL claim that non-speeding and even NON MOVING vehicles are speeding, what is the basis for telling the public "if you don't speed you won't get a ticket" and for going into a court of law and claiming that the fact that a camera was "calibrated and tested" proves that you are guilty? The basis for that claim is simple: the burden of proof under Maryland's speed camera law has been lowered to the point that you are presumed guilty and a motorist won't be able to dispute an erroneous speed reading unless by odd chance their vehicle was completely stationary. Indeed, many involved in local speed camera programs in Maryland have tried rewriting history by claiming that the problems in Baltimore City consisted of just a handful of cases involving stationary cars, precisely so they could make that claim and deny errors involving vehicles that were moving but not speeding. We believe residents of Baltimore City and Maryland should be concerned that the only lesson Baltimore City officials have learned may be that next time they should not admit it when errors take place so they can keep collecting the loot without interruption.